Microsoft and Double Helix attended the Tokyo Game Show this year with a Killer Instinct reveal. 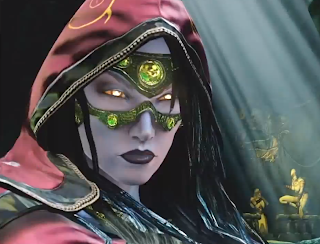 Check out the official trailer for Sadira inside. Gamespot posted the official reveal trailer for Sadira. Microsoft and Double Helix announced the new character for Killer Instinct at the Tokyo Game Show 2013. The ending of the trailer pretty much confirms Orchid's return as well.